Many people have dreams to be an entrepreneur and to open a business someday. Besides, given the fact that Indonesia is the most populous country in the entire South East Area region and the fourth most populous country in the world, it had most definitely attracted many foreign investors’ attention to start a business in Indonesia. In this article, we will provide you with a thorough overview of how to register a company in Indonesia as any possible legal entity. Indonesia is endowed with rich natural resources. The nation also has fertile soils that support a variety of cash crops. Indonesia is a major supplier of commodities such as coffee, rubber, timber, palm oil, and cocoa to the world market and to a lesser extent tea, sugar, copra, spices, and tobacco. Indonesia is the most populous country in the entire South East Asia. In addition to the substantial number of people, the island nation lying off the Australian shore boasts demographics exceedingly propitious for the extended term economic growth. Besides gaining ownership of a PT PMA company in Indonesia, foreigners are now permitted to have land in Indonesia. This policy had been applicable in 2015 when the Regulation No. 103/2015 were established and signed by the current president. A local person simply means a local Indonesian citizen that holds an Indonesian passport. Here, a local person can only opens a Local Company (PT short for Perseroan Terbatas) in Indonesia. As the regulations stated, if a company is fully owned by a local person, it will be registered as a Local PT company. Do note that local Indonesian citizens are capable of. Obtain Company Registration Certificate (TDP). Click here to have a better understanding of how to register a PT Company as a local citizen. A foreigner simply means that a legal entity who does not have an Indonesian passport. 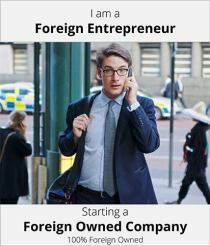 In Indonesia, foreigners can only own a Foreign Owned Company (PT PMA). However, the available business activities are subjected to the Negative Investment List as it indicates to foreigners as to the requirements that are required to be fulfilled by foreigners in setting up a business in Indonesia. For a further clarification of how to register a Foreign owned company (PT PMA) in Indonesia click here. Foreigners will not be able to own shareholdings of a Local Company, PT as it must be 100% owned by local citizens. However, they could still open a Local Company, PT but only if they were to get a Local Nominee for the company. Click here to read article on way in which foreigners could still be in control of the PT Company even though the local nominee fully owns it. Besides that, click here for further understanding on Registering a Company in Indonesia for PT and PT PMA companies. The only company that can be set up in Indonesia with the shareholding being held by local and foreign entities are the foreign owned companies, PT PMA. Similarly, the investors are required to refer to the Negative Investment List prior to setting up and registering a business in Indonesia depending on the business classifications. Foreigners would need to check the list on the maximum allowed shareholdings that the foreigner can hold for certain specific business classification. The ways in which these types of companies with different legal entities are registered are similar to how to set up a Foreign Owned Company, PT PMA. For representative offices, its business activity is limited to supervising and coordinating the business and branches, but it is not allowed to make any business transactions either for export, import or domestic trading with both companies or people in Indonesia. Click here to have a better understanding on what are the functions of a Representative Office in Indonesia.